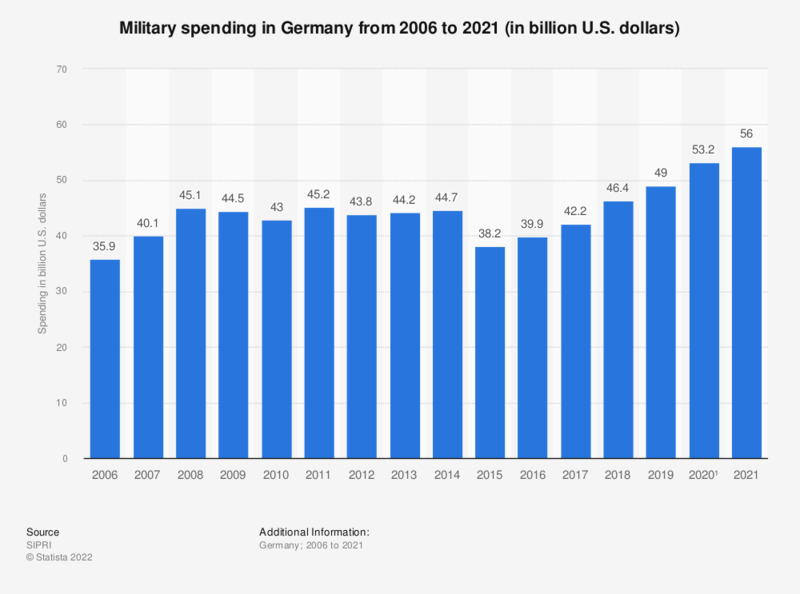 This statistic shows military spending in Germany from 2001 to 2017. According to the source, military spending includes all spending for armed forces (also contingents for peace-keeping abroad), Federal Ministry of Defence and defence projects. In 2017, military spending in Germany amounted to almost 44.33 billion US dollars. * based on value of US dollar in 2016. Exception: The figure for 2017 refers to the recent price.